11 Fun and Durable Kids Teeter Totters for the Backyard! Kids absolutely love playing in fun teeter totters and see saws! Remember back in the 70’s when we could only find them in only restaurants or public playgrounds? Nowadays kids can have their very own teeter totter in their backyard! I have always loved playground toys and specially fun teeter totters! 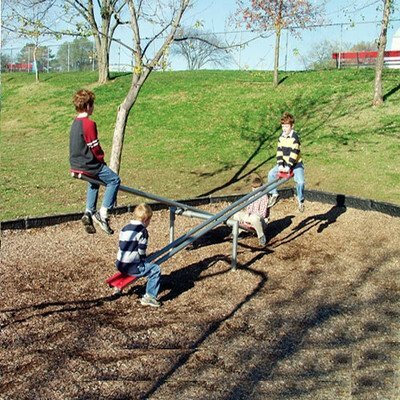 *The one you see on this picture is the airplane teeter totter ! Airplane teeter totters were my ultimate favorite when I was a child! Well, because you can have several kids playing with you! 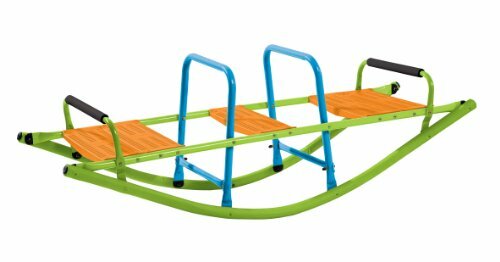 It is the perfect teeter totter for multiple kids or siblings! On this page you are going to find the best indoor and outdoor teeter totters for home out there! You can have them in your backyard or even inside your house too! You will also find special teeter totters for toddlers as well! 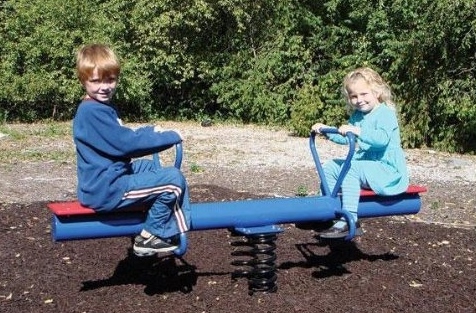 Deluxe Teeter Totter for Sale! Fun Backyard Teeter Totters for Kids! It was designed for children between 3 and 13! It is very sturdy and durable! The seats are large enough for older kids as well! It’s gonna look great in your backyard! Twirl Go Round 4 Seater Merry Go Round Teeter Totter! Is this a teeter totter or a merry-go-round? It’s a ‘Twirl Go Round’! It takes me back to my childhood right away! It was my favorite playground activity by far! I am so happy to see it again! And now your kids can experience this too! Fun Metal Teeter Totter Spring Rider! 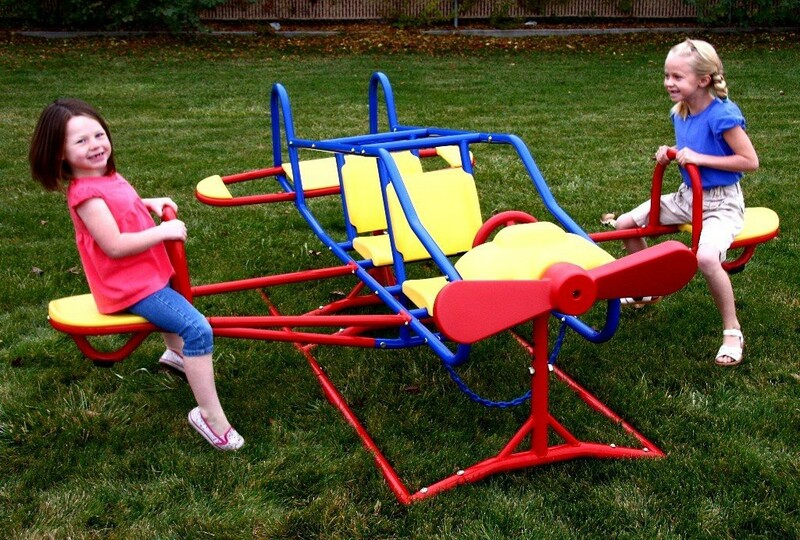 Another cool and ultra-fun spring teeter totter for sale! The hand and foot grips are nice and big and will keep them safe while they have a blast bouncing up and down! Awesome 4 Seater See Saws for the Backyard! 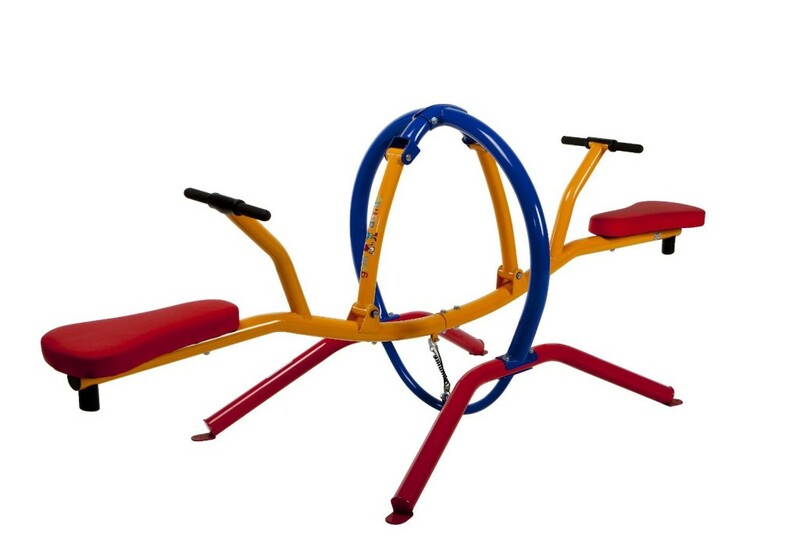 This is one of my favorite seesaws for children being sold! It fits 4 children at the same time!! How beyond awesome is that?? It is sturdy enough to fit small kids around age 4 and 5 and big kids too, up to 9 or 10 years old! 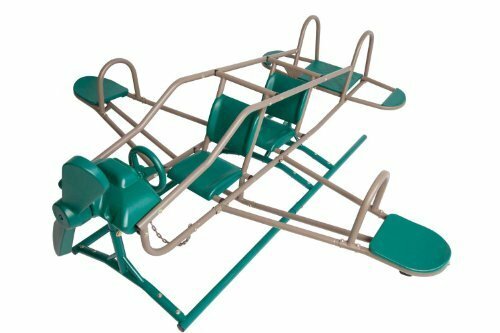 Affordable Ace Flyer Airplane Style Green Teeter-Totter for the Backyard! 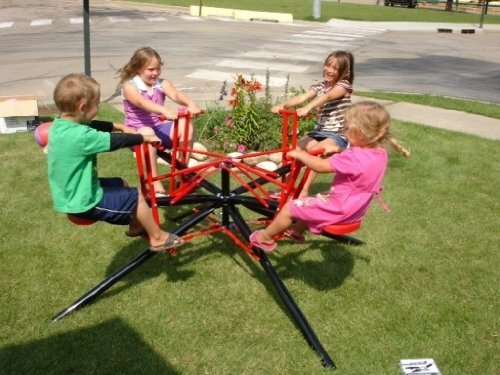 It is also an ‘airplane’ teeter totter, perfect for several kids playing together! If you have more than 2 kids, this is the teeter totter for you! One of the most bought kids teeter totters by parents! Gorgeous red wooden backyard teeter totter for sale! It is very durable and sturdy! Perfect for twins or two siblings! This is one of the cheapest metal rocking seesaw for kids out there! It is made from steel and plastic and it fits kids from ages 2 to about 7 years old. I used to love playing on those when I was a kid! Great summer gift idea for siblings or twins! 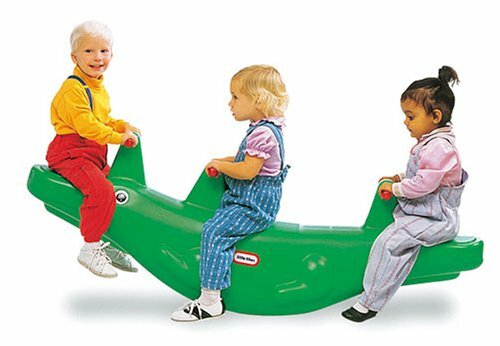 Little Tikes Classic Alligator Teeter Totter for Toddlers! This is definitely one of the most fun teeter totters for toddlers being sold! You can use it indoor or outdoors! Fits toddlers from 1 to about 4 years old. 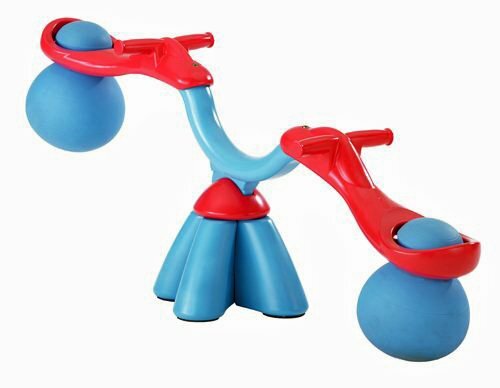 Spiro Bouncer: Fun Indoor Seesaw for Kids Ages 2 to 5 Years Old! Fun and colorful spiro bouncer see saw for kids! Step2 Play Up Teeter Totter for Toddlers! This is a fun indoor or outdoors teeter totter for smaller kids! It is also very cheap and parents say very well-made too! Great way to have your little ones exercising and spending some of their endless energy! Best Swing Sets for the Backyard! Best Outdoor Toys for Kids!